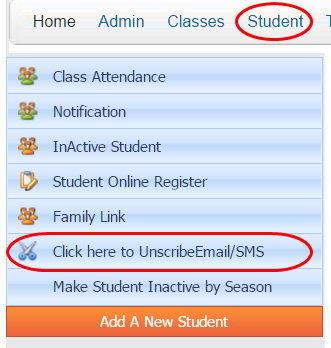 The studio can Unsubscribe the email or cell phone from receiving these messages. You will see a list of all people in your database. You can filter by name, email address or phone number. Click Edit in front of the account you wish to no longer receive messages. Select which type of message they should not receive. Click Update.